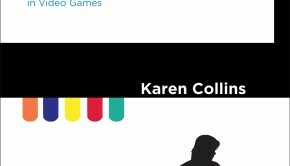 Upon my daily trek through the list of gaming news websites I frequent, I came across an article about a book that stopped me in my tracks. A Composer’s Guide To Game Music sounded to me like a book that I could pull a lot of tips and tricks from for my own game music and remixes. 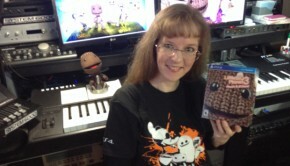 The author, Winifred Phillips, is an accomplished composer who has worked on games such as LittleBigPlanet 2, SimAnimals, God of War, Speed Racer and many other titles. Phillips covers in 14 chapters everything from what kind of equipment to choose to why people make video game music in the first place. I devoured the inside information about the gaming industry and what happens once you’ve got something worth showing to companies like Nintendo or Sony. 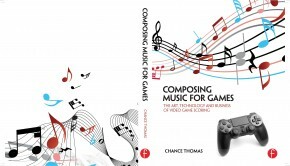 The first chapter is entitled ‘Why Would You Want to Write Music for Games?’ For me, a life-long gamer and dedicated musician, the answer to that question is clear. But what about you gamers who aren’t musicians but have an intense passion for game music? Maybe the money and business end of it attracts you. Maybe you are a musician at heart that tries game compositions as a start to a career based on casual interest in games. Whatever your reason or area of expertise, Phillips makes it clear in this first chapter that you must work hard and never give up on a dream of composing game music. Being professional and taking a chance seem to have an impact on success as well. Phillips gets more technical as the chapters progress, almost like a game that gets harder each level. There are many music theory terms that Phillips defines in non-musical ways; however, a reader who does not have a strong background in music theory may want to refer to a music dictionary for a broader definition. 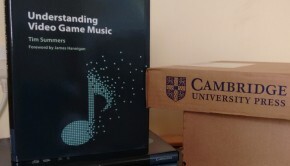 The book offers many guidelines and solid terms for the purpose and symbolism of music in games. My imagination went wild with bits and pieces of music from games I have played while reading these chapters. 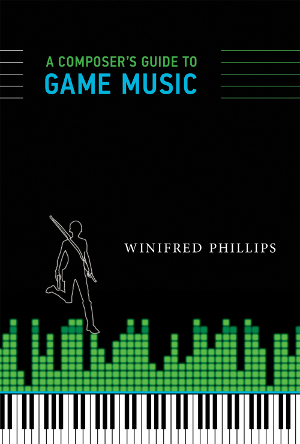 Phillips makes it clear through the rest of the book that a musician must work with technology in order to succeed in the game music world. After reading about genres and themes I couldn’t help but open up Logic Pro to start shredding my new battle music! Phillips discusses in detail how a composer makes music for a video game, not the other way around. Sure music can inspire a game (e.g. music and rhythm games), but usually it is the other way around. The Guide will give a musician some pointers to help loops, for example, sound better in order to immerse the player in the game. Everything from MIDI to re-sequencing tracks is explained, and it gets just a bit more technical with the computer software terms later in the book. Have Google handy or use Kindle’s ‘look-up’ feature for the words you aren’t familiar with. Still, the references to renowned titles such as Super Mario and Resident Evil allowed me gain a point of reference for the topic being discussed. There is even a shopping list of sorts recommending equipment, skills and a professional demeanor that will aid in a successful and fun adventure into game music. Unfortunately gear costs money, so Phillips stresses that upgrades and add-ons are to be purchased only when necessary. Some very sound advice indeed. Phillips explains how important it is to make yourself a ‘business’. In other words, if you want people to use your music you must showcase yourself professionally in person, on a business card and on the web. Otherwise, people may not want to listen in the first place. If I ever need a pep-talk from an experienced and prolific composer, I will turn to this guide. I felt that I learned a great deal about what it takes to create game music. I have been inspired and informed a great deal and I hope many composers, veterans and rookies alike, will take away as much as I did. I will be returning to this guide frequently and keeping it close to my workstation to give me a point of reference when in need. Posted on August 14, 2014 by Marc Chait. Last modified on January 18, 2016. Sounds like you got a lot out of it. I may have to look into it myself now.